Our passion, attention and resources are directed solely toward helping children with special needs and their families. This singular purpose, sets us apart from all other online tutoring services currently available. Children with special needs often require individual assistance and resources to reach their academic goals and achieve great life-long success. All of our tutoring programs (Homework Help, Enhanced Learning, Supplemental Learning, and Homeschool Program) are all designed and taught in your child’s unique learning style. What if my child has learning challenges but isn’t labeled special education? No problem! As class sizes continue to grow and education budgets decline across the US, a massive strain is being placed on an already broken special education program. Many of our student’s parents have had significant push back from their school district in attempting to enroll their children in special education services. While battling to push through the red tape, these parents turn to outside resources including Online Tutoring as a way for their child to receive much needed help. Our tutors are hand selected from hundreds of applicants. All of them have a Bachelor’s Degree in Special Education and most posses a Master’s Degree in specific fields. Everyone at SpecialEdTutoring.com believes that a label doesn’t have to define a child; it simply proves that all children learn differently. We work hard to ensure each SpecialEdTutoring.com Tutor lives and breathes care into every interaction with their students. We utilize a consultative approach in selecting the most qualified Special Education Expert for your child. The consultation call is vital in understanding your child’s needs, strengths, challenges, likes, dislikes and a ton of other important information. Armed with your feedback, a plan is created and options are discussed specifically for your child. 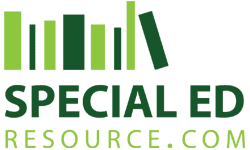 Depending on the plan, needs, strengths and goals for your child, a special education expert is selected that thrives in that specific area of expertise. During the consultation call, we will discuss specific time frames based on the areas mentioned above. On average, our students meet with their tutor 2 to 3 times a week. 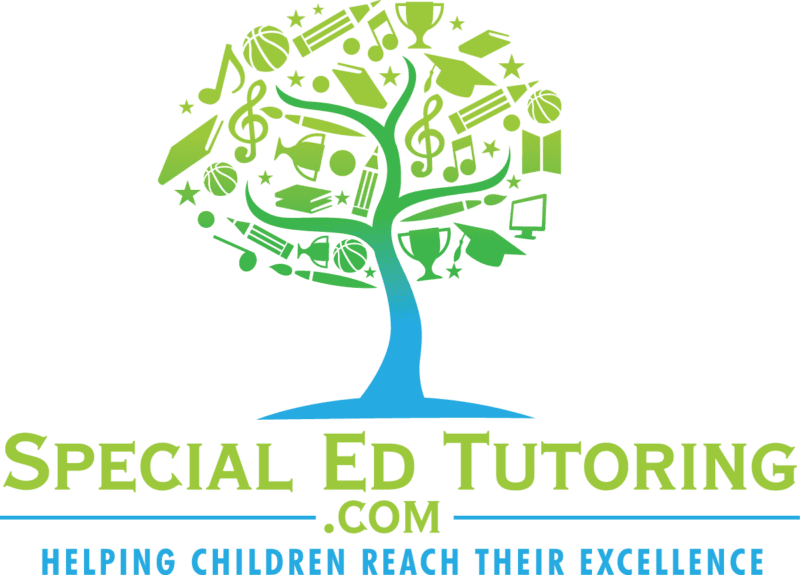 There are several reasons SpecialEdTutoring.com solely utilizes online tools to effectively teach children throughout the US. More Time Preparing For The Sessions; Time for the tutor to prepare for each session is absolutely vital to the success of their student. By eliminating all travel time, the tutor is able to dedicate the time saved to preparing another lesson, or analyzing your upcoming test, etc. Children Learn Better In Familiar Settings; A comfortable environment increases learning for children. It takes time for a majority of children to share open communication with a person whom just entered their lives. Allowing children to be in an environment they are already comfortable with and interacting with the tutor on the computer versus in person immediately helps break down their defense walls. Simply put, more gets accomplished in a shorter amount of time. Access To The Perfect Tutor For Your Child’s Needs; Having the ability to meet with a tutor that could be 2,000 miles away from your home is priceless. We’ve found that while most teachers have no problem interacting with all age groups and all needs, they typically have the largest impact with a small segment of children. Fun And Different For Children; By the time we have the opportunity to work with a child, they often view the classroom setting as stressful, de-moralizing and an overall bad experience. Online tutoring is NOT like school at all. Most children love electronics, tablets, online games etc… Online tutoring allows children to have fun doing these things while learning. This is dependent on what program works best for your child’s specific circumstance. Session rates start at $25, however the exact cost is discussed during the consultation call. With the use of the consultation call, we have a near perfect pairing of students with the right tutor. However, nothing is perfect. If the goals discussed during the consultation call aren’t being met, we’ll ensure a quick and seamless conversation with that tutor or perhaps redirect the student to a different tutor if more appropriate. Step 1; Consultation Call; During the call, the special education expert will ask a series of questions and carry general conversation in an attempt to better understand the needs of your child. Also, please make sure and bring some questions with you as this is the perfect time to pick the brain of an expert. Step 2; If special education tutoring is deemed appropriate, a plan is created and options are presented to you, the parent. Step 3; The option you feel is best is selected and the initial session with your special education tutor is scheduled. That’s it, your child is now on the way to achieving their excellence! Webcam (optional, but highly suggested). Audio – For the audio portion of the tutoring sessions you can either use a phone to call the conference line provided or a headset for your computer. Specific material your child is working on (Depending on the tutoring program selected).